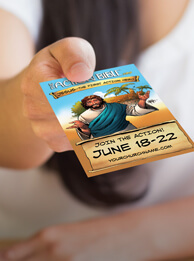 With David C Cook’s VBS, based on the bestselling The Action Bible, kids will discover how to Love, Believe, Trust, and Witness as they engage in God’s story of redemption! 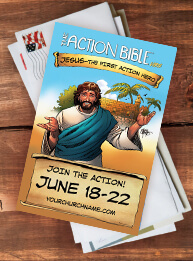 Each day features activities and interactive lessons that turn storytelling into an unforgettable experience that points to Jesus who saves. 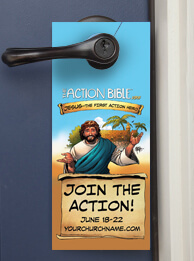 Get the word out about VBS in your community! Check out tools like direct mail postcards, outdoor signs and more. 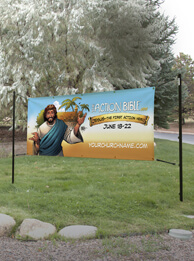 Available in 3 banner sizes starting at $69. Also in 24" x 36" StickUp Art, $39 each.